Bus shelters have come a long way over the past few years. Whereas once they’d be marked only by a single post, nowadays many are fully-digitised, enclosed, and weatherproof. This is not to say, however, that problems don’t still exist. After all, bus shelters are still easily damaged, whether through scratching, graffiti, or forceful smashing of the glass dividers. Another issue with bus shelters — one which is often overlooked — is that of privacy. This is especially applicable to residential areas, where locals don’t always like the idea of being essentially ‘overlooked’ by people waiting for the bus. 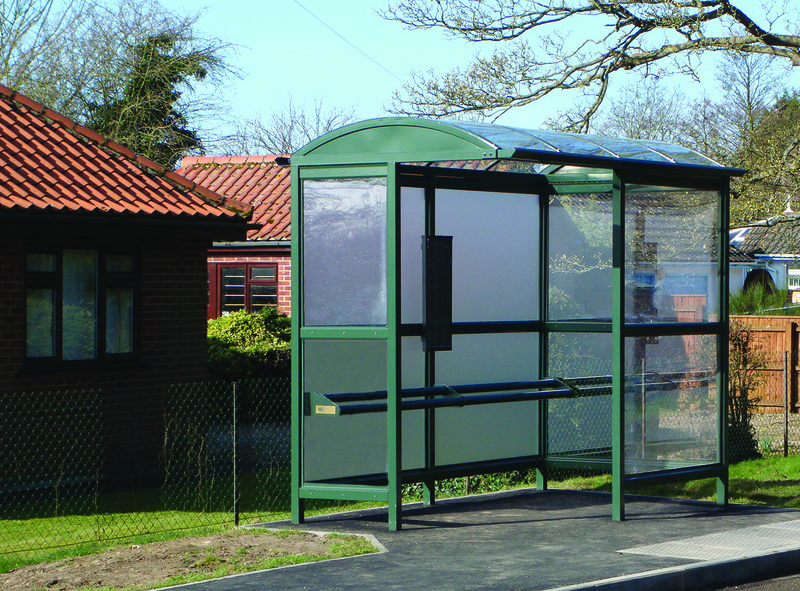 It’s for this reason that Peerless were approached by an engineering company to build a new bus shelter; one which would allow drivers to see occupants while, at the same time, providing privacy for local residents and passers-by. One potential option was traditional metal cladding. This would certainly solve the privacy issue but, nonetheless, the downsides were obvious: metal cladding is unsightly, causes visibility problems for drivers and, what’s more, could present a security risk to those waiting inside. After all, nobody wants to wait for a bus in a bunker. Thankfully, however, Peerless came up with a solution. We decided that the best way of solving the problem was to coat the usual clear plastic in Peeraguard Frost. This would allow visibility whilst, at the same time, providing a degree of privacy. In addition, the coating is abrasion and chemical resistant, making it ideal for assisting with the easy removal of graffiti. The programme is now being rolled out to other locations across the UK.